After several offshore trips with water over the bow we started to have regular LP solenoid failures. 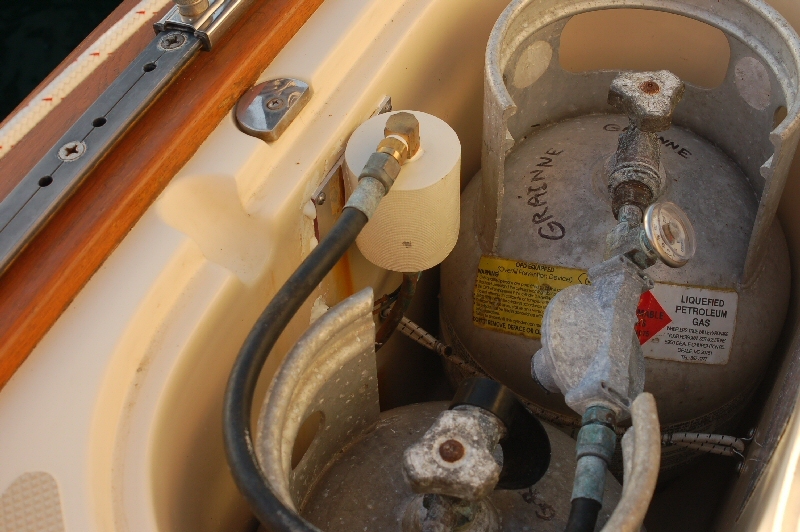 Salt water was running down the deck and into the propane locker where the exposed solenoid got a good drenching. 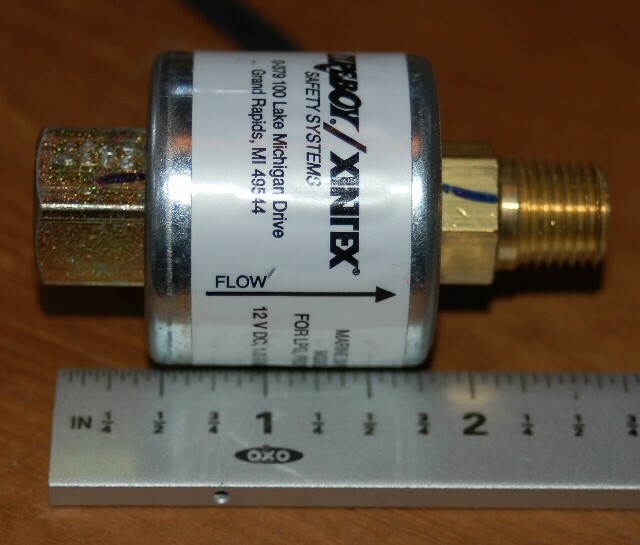 While in St Martin I found the Xintex SV-1 LP solenoid which at the time was considerably cheaper that the stock replacement solenoids that we had found. I fabricated a new mount and a fiberglass shroud for the solenoid. After rearranging some of the gas line fittings installation was a snap and we’ve had no more issues with failed solenoids.